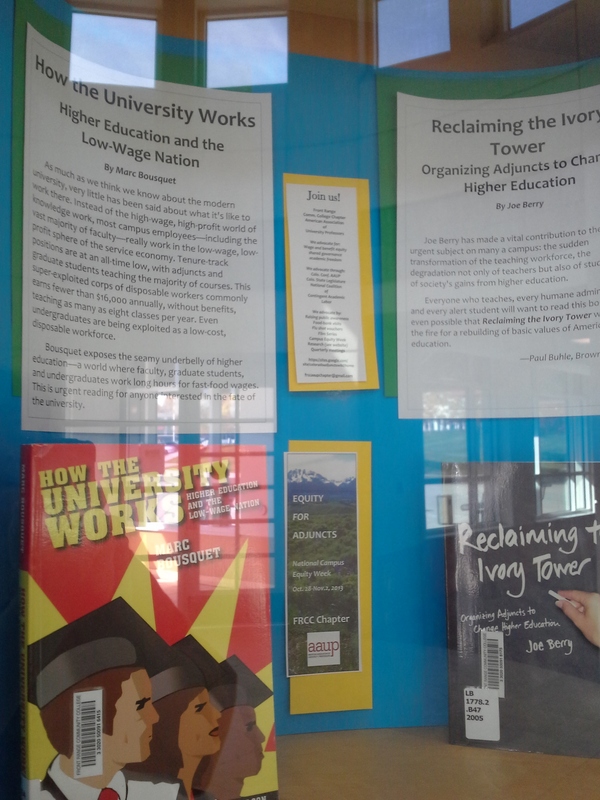 Adjunct Faculty at Front Range Community College have been moving aggressively and courageously to promote equitable treatment—and the AAUP chapter—on their campus. 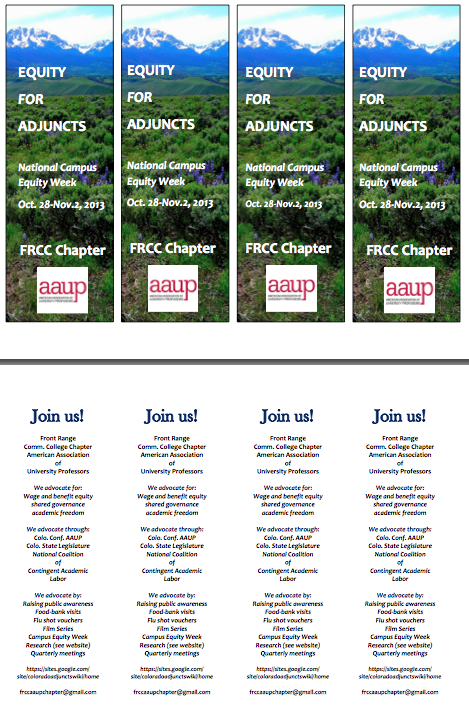 Following are some pictures from last week’s Campus Equity event. 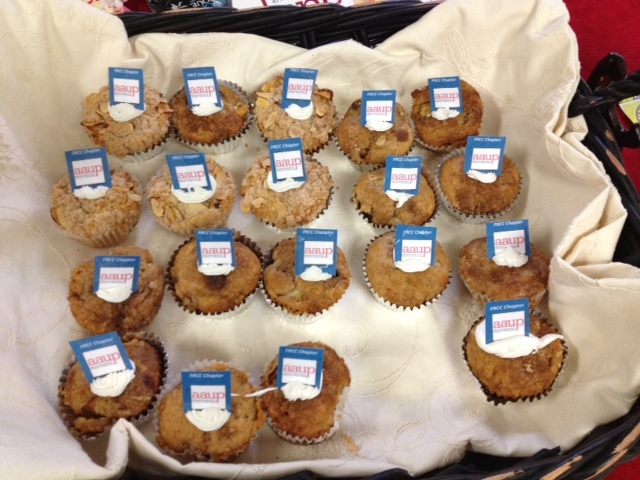 Along with lots of great information our colleagues gave away AAUP branded muffins and a local merchant donated free coffee. 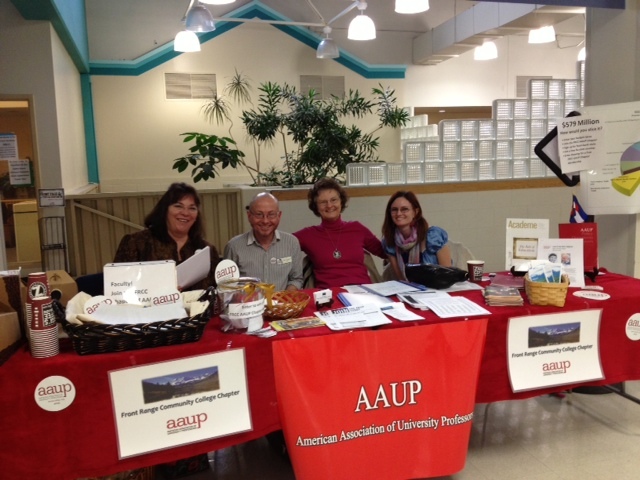 Folks look like they’re having a good time, and FRCC may have picked up a few new AAUP members in the bargain. Kudos to these faculty for their information sharing and campus organizing efforts! Caprice Lawless, Mark DuCharme, Carolyn Elliott and Marissa Baker. The Colorado Community College System had $579 million in revenues in 2013. 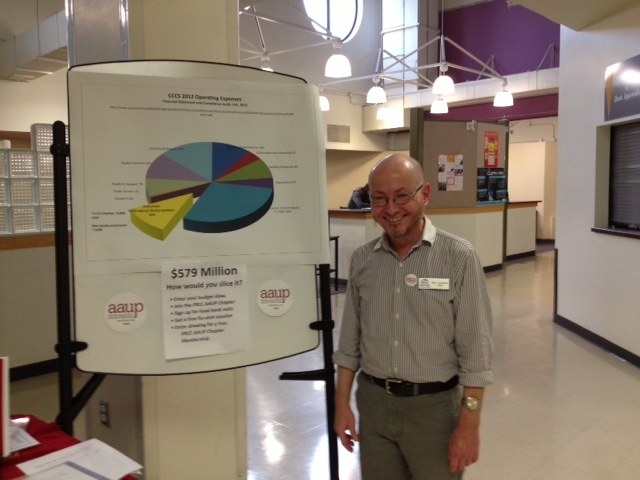 Only 11% went to the 4,000 adjunct faculty who teach approximately 70 percent of all CCCS courses. Figures vary on the percentage of courses taught by adjuncts. Rural campuses typically employ more full-time faculty, while metropolitan campuses (Pikes Peak CC, FRCC, Red Rocks CC) employ more adjuncts. Figures for the metropolitan area-campuses run 75-85% adjunct instruction.